측백나무는 중국 및 우리나라에 분포하고 있으며, 우리나라에는 대구, 단양, 안동, 영양 등지에서 자라고 있다. 절벽 바위에 뿌리를 내리고 숲을 이루는 경우가 많으며, 주변 환경을 아름답게 하기 위해 주택과 마을 주변에 많이 심고 있다. 대구 도동 측백나무 숲은 나무의 높이가 5-7m 정도되는 700여 그루의 나무가 절벽에 자라고 있으며, 측백나무 외에도 소나무, 느티나무 등이 함께 어우러져 있다. 주변의 숲은 사람들이 나무를 함부로 베어가서 황폐해졌지만 측백나무는 절벽의 바위틈에 자라기 때문에 베어지지 않고 그대로 남을 수 있었다. 대구 도동 측백나무 숲은 천연기념물 제1호라는 이유로 많은 관심을 모으는 숲으로 지정당시에는 이 지역이 달성에 속해 있어 '달성의 측백수림'으로 불려왔다. 또한 측백나무는 중국에서만 자라는 나무로 알려져 있었는데 우리나라에서도 자라고 있어 식물 분포학상 학술적 가치가 높아 천연기념물로 지정되었다. 현재 대구 도동 측백나무 숲의 보호를 위하여 공개제한 지역으로 지정되어 있어 관리 및 학술 목적으로 출입하고자 할 때에는 문화재청장의 허가를 받아 출입할 수 있다. The Oriental Arborvitae grows in China and Korea. In Korea, it grows in the regions of Danyang, Dalseong, Andong and Yeongyang. 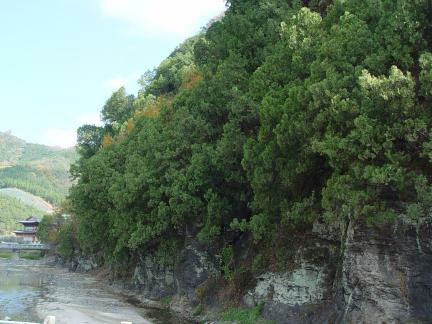 These trees usually take root along the cliffs and form a forest. The Korean name of 'cheukbaek' means that the branches of this tree grow vertically. This tree is often planted around houses and towns in order to build beautiful landscapes. 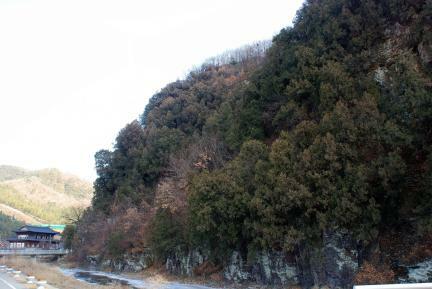 About 100 oriental arborvitae trees grow in Do-dong. The height of these trees is typically 5-7 meters. 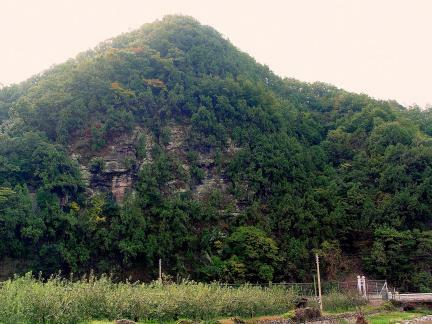 Pine trees and zelkova trees also grow in this habitat. 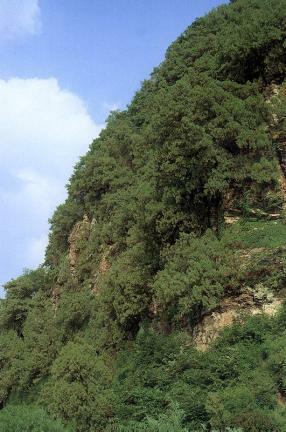 While the nearby forest was devastated by spontaneous lumbering activities, the forest of oriental arborvitae has been well preserved because these trees grow at the cracks of the rocks along the cliffs. There has been great interest in the forest of oriental arborvitae because the tree species has been designated as Natural Monument No. 1. Though oriental arborvitae is generally thought to grow only in China, it can also be found throughout Korea. This tree is designated and conserved as a natural monument.